Part of the new riverside range made by us in Staffordshire, this table has a rather charming wavy wooden roof, with matching decorative sides. We find it goes well in small to medium sized gardens. The side perches come in especially useful for waiting birds, and the depp tray ensures the chances of spilt food are reduced. 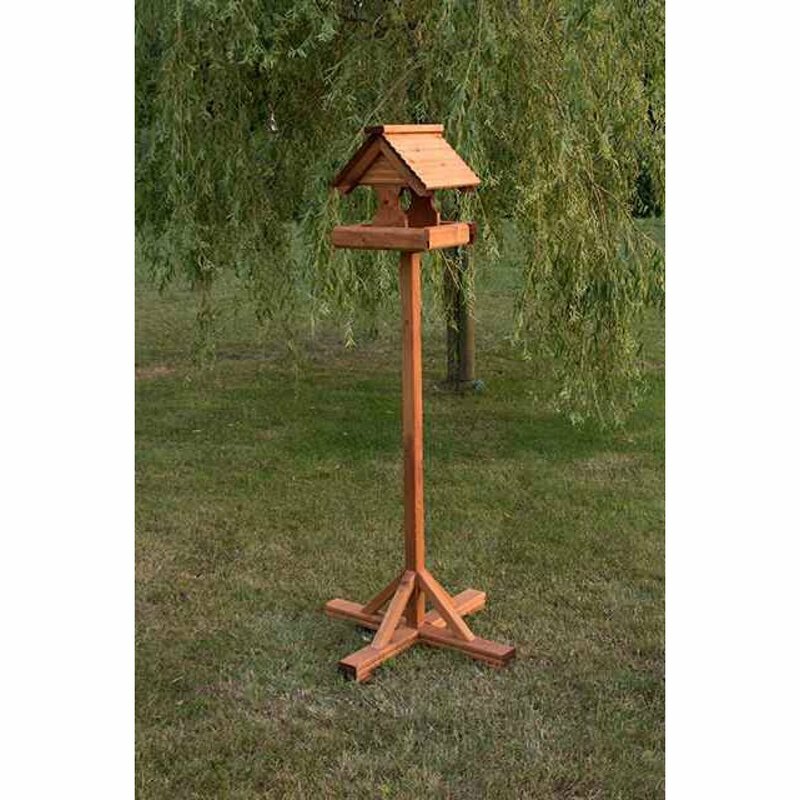 An excellent all round bird table at home in both traditional and modern gardens. At the moment we only offer the instructions with our products but if you are needing some more assistance please do not hesitate to ring us on 01827 250410 and we offer our best helping hand. can you send without the whole base ? ie. we have a metal spike already in the ground and just want the post without the rest of the base. if yes, please can I have the dimensions of the post?